A honey bee sanctuary should have lots of flowers, and ours is no exception. We have pretty sunflowers and zinnias, and sublimely beautiful dahlias. Once the bees have had their share of pollen and nectar, we cut the flowers and donate them—thousands and thousands of them. 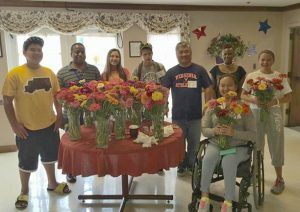 Volunteers deliver them to nursing homes, hospices, and shelters, and to folks who are homebound because of age or illness. 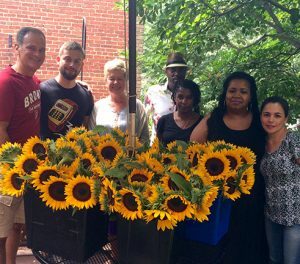 Flowers, especially fresh cut from a local farm, mean a lot to people. 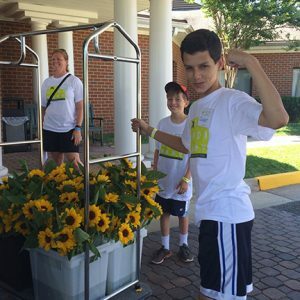 Help share the joy of sunflowers by joining us on our mission. 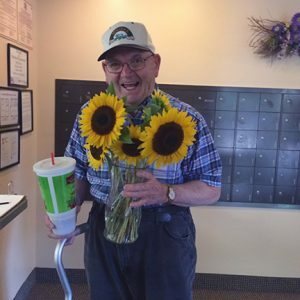 Sunflowers are easy to grow, enjoy, and give away! They simply need water and a lot of sun. Harvesting is easy and they stand up tall to make a beautiful bouquet all on their own. Consider growing some sunflowers for the bees, enjoying them in your garden, then cutting them and giving them to someone who could use a smile. We are here to encourage and support you. Let us know how it goes. 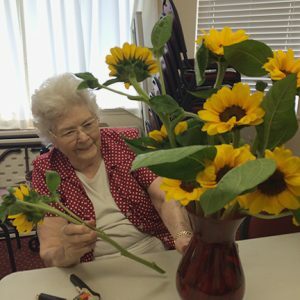 Tweet pics and stories with #CommunityFlowers. 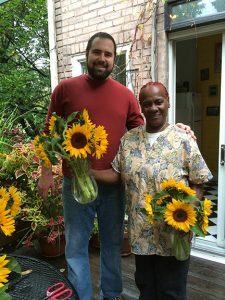 If you’d like to volunteer on the farm getting sunflowers ready for delivery or help deliver the freshly cut flowers, just give us a buzz. If you’d like to arrange to have fresh flowers delivered to your care facility, let us know!